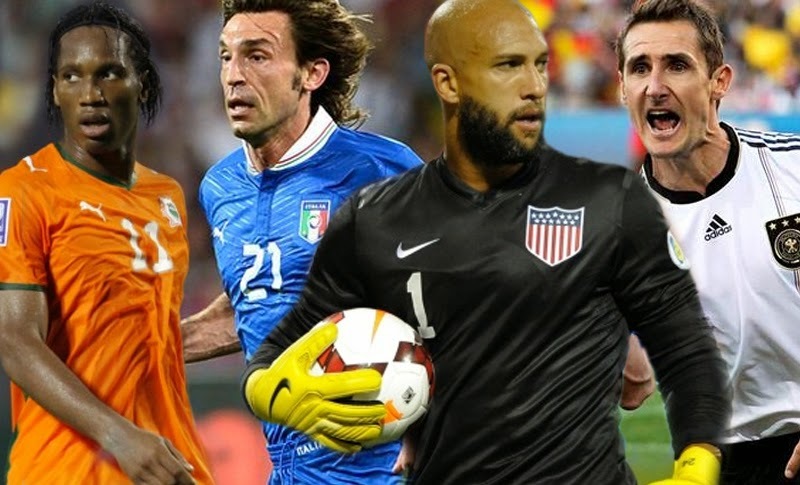 Yesterday we gave you Part 1 of the 19 oldest players that will participate in this year's World Cup in Brazil. Now we introduce the final and oldest 10. With some incredible names in the mix, this summer's tournament promises to feature many stars' goodbyes from the international football scene. Even though his teammate Danijel Subašić has been making a bit of a name for himself at Monaco, it is the 35 year old Pletikosa who started in goal for Croatia in every qualifying match leading up to the World Cup. Pletikosa is a very talented keeper standing at 193cm (6’4”) currently playing his club football at FC Rostov in the Russian Premier League. Capped 109 times so far for the Croatian national team since 1999, we believe that Stipe Pletikosa still has a lot to showcase. With Croatia playing tough opponents in Brazil, Cameroon and Mexico, the Croat keeper may be the difference between a successful tournament or first round elimination for his nation. The England national and Chelsea FC icon will be turning 36 just a day after his country’s second group match versus Uruguay. 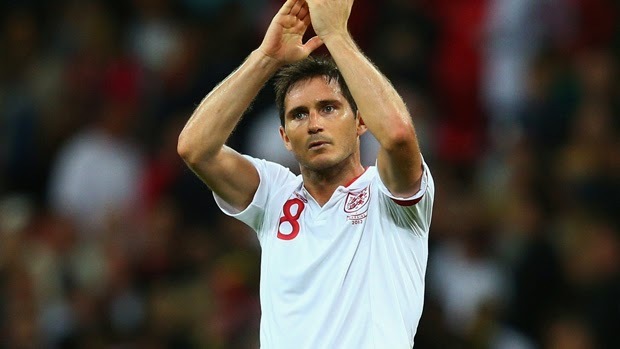 With the Uruguayans being arguably England’s main hurdle of qualifying to the next round, Lampard could be celebrating his birthday in style with a victory, or in agony, pondering about what went wrong. Age aside, Lampard is still a key figure in England’s squad with over 100 caps to his name with the national team since his call-up in 1999. He scored 4 goals for England in the qualifying stages. This will mark Lampard’s 4th major tournament with the Three Lions, a third World Cup. This Polish born, German international’s call-up to the World Cup squad received some criticism from fans and media, mainly due to his age and the omission of fellow countryman Mario Gómez who also plays as a striker. 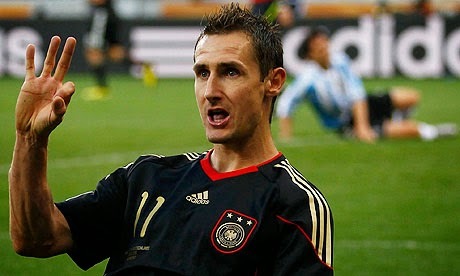 With Gómez struggling with injuries earlier this year however, Klose is a darn good force for Germany to have up front. Turning 36 just 6 days prior to the World Cup, Miroslav Klose is still a very prolific striker and always a threat in the air. Averaging almost 0.5 goals per game for the national team, and being the second highest scorer in World Cup history with 14 goals over 3 tournaments, the opposition defences will concentrate more on his skill rather than his age. 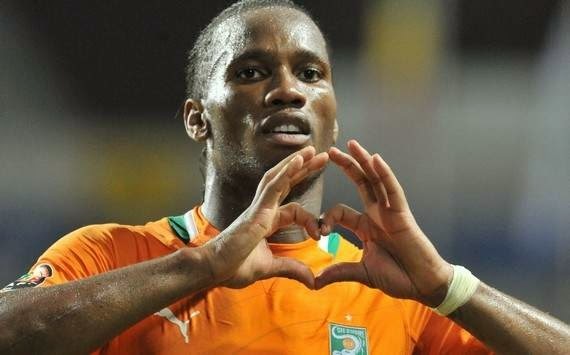 Assuming he plays, Ivory Coast’s opening World Cup match against Japan will mark 36 year old Drogba’s 100th appearance for his country. Now with Galatasaray in Turkey, the once Chelsea star is the all-time top scorer in the history of the Ivorian national team. This year’s squad however, may have more competition in the striker position than ever before. With the likes of Gervinho, Salomon Kalou, Wilfried Bony, Saydou Doumbia and Lacina Traoré, it will be interesting to see whether Ivory Coast’s French manager Sabri Lamouchi decides to use Drogba on a regular basis, in a group where the Ivorians feel they have a pretty good chance to claim one of the first two places and qualify to the next stage of the competition. This Bayern Munich center-back started 5 out of 10 qualifying matches for Belgium leading up to the World Cup, and at 36 years of age this may be a good sign on whether or not he will see action in this summer’s tournament. However, Vincent Kompany’s presence in the Belgian squad always means that there is only 1 other center-back position that is open, and Van Buyten has to compete for that roster spot with Zenit St. Petersburg’s Nicolas Lombaerts and Arsenal’s Thomas Vermaelen. 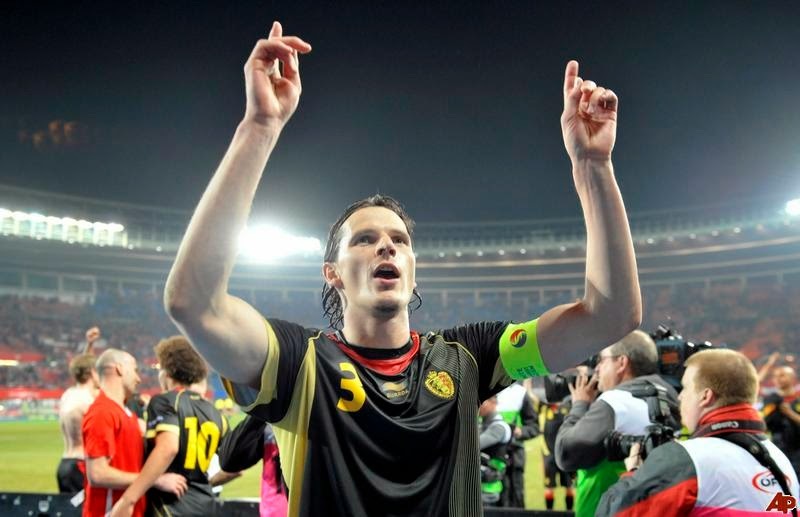 Since both Kompany and Vermaelen are known to pick a knock or two every once in a while, Belgium’s manager Marc Wilmots will be glad to have the veteran in the team at least as an “insurance policy”. At 36 years of age, Gigi Buffon is still considered to be one of the top goalkeepers in world football. 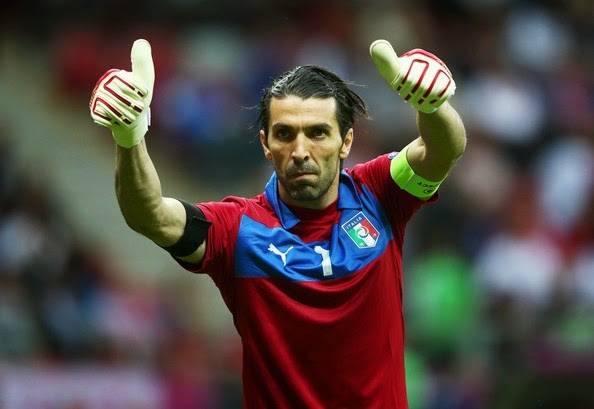 With Mattia Perin and even Salvatore Sirigu currently offering very little in terms of competition for the Juventus legend, Buffon is most likely to feature in all of Italy’s matches in what could be his last World Cup appearance. The 2006 World Cup winner with Italy has been capped 139 times for his country to-date and his presence in goal gives the Azzurri hope of glory as long as he’s there. Drawn to a tough group that includes England and Uruguay, all eyes in “the boot of Europe” will be on him to see how he handles facing the likes of Wayne Rooney, Edison Cavani and especially Luis Suarez. 37 years old, and captain of the Honduran national team, Valladares is the 2nd most capped footballer for Honduras with over 100 matches played in goal for his nation. Valladares is not very well known around the football world mainly for the fact that he spent his entire career in the Honduran domestic league, where he helped 2 different squads to 14 combined league titles. The second Greek national on our list, Karagounis will be the third oldest footballer at this summer’s World Cup. Born in Pyrgos, a small Greek town with a population of about 25,000, Karagounis became somewhat of a hero, especially after his incredible goal during Greece’s opening match at the 2004 Euros against hosts Portugal, his first major tournament, and one Greece would eventually win, claiming one of the biggest surprises in the history of international football. Currently with Fulham FC, this will almost certainly be the 37 year old’s last World Cup appearance for his country. This former Paris Saint-Germain and AC Milan defender will be participating in his first and only World Cup this summer, after which he will retire from football altogether. What a way to finish a long career! 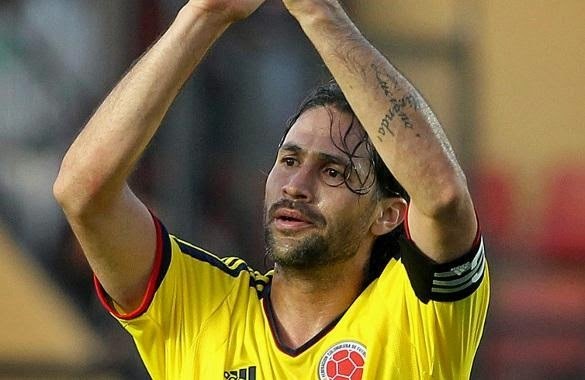 Whether or not he will be included in José Pékerman’s staring 11 is yet to be seen, but it is worthy to note that in Colombia’s final qualifying match for the 2014 World Cup, Yepes (who is a defender) scored twice in a 2-1 win over Paraguay. Mario Yepes has won league titles with clubs in Colombia, Argentina and Italy, and was a Copa America winner with his country in 2001. Born in 1971, Mondragón is by far the oldest player making his way to Brazil this summer. 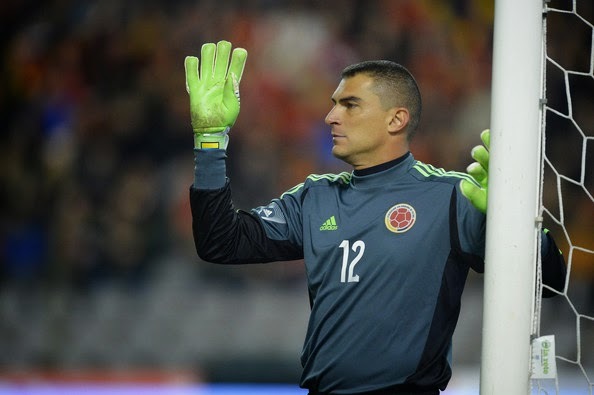 The Colombian GK will be celebrating his 43rd birthday two days after his country’s second group match. Known very well to Galatasaray supporters where he played for 6 of his so far 24 year professional career, Mondragón is not expected to start in goal for the Colombian side as that position is surely to be filled by OGC Nice keeper David Ospina. Nonetheless, the man who spent time with 13 different clubs on 3 different continents will probably just be happy to sit on the bench and hope that José Pékerman has the heart to play him even for 1 minute, as this appearance would make Mondragón the oldest player to ever play in a World Cup tournament, leaping over Roger Milla’s record appearance in the 1994 tournament in the United States, when he was 42.